Jah-Nhai Perinchief’s Texas Tech University Director of Track & Field and Cross Country Wes Kittley announced Monday the official schedule of meets Texas Tech will host during the 2019 Indoor Track and Field season. The Red Raiders will host six meets, in addition to the Big 12 Indoor Championships. 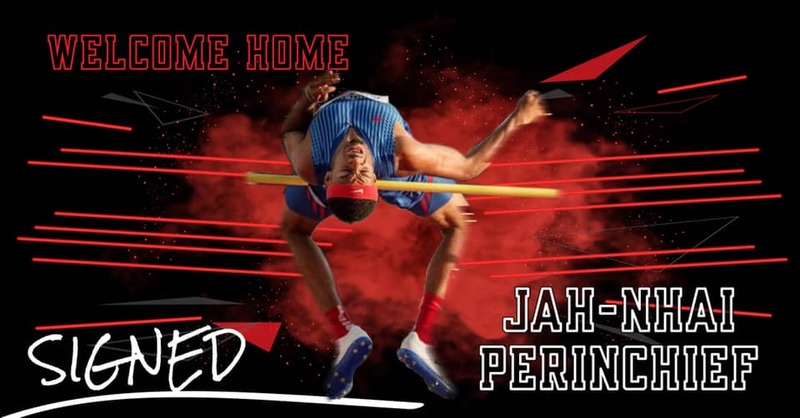 It was back on November 14th that www.islandstats.com reported Bermuda Olympic Hopeful Jah-Nhai Perinchief has transferred from the University of Arkansas to Texas Tech University. The indoor schedule will be highlighted by the Jan. 25th – 26th Texas Tech Invitational, which is set to be the most prestigious meet in the nation that weekend. Visiting Lubbock will be three of last year's top-five indoor national championship men's teams, including defending champions Florida, along with indoor runners-up USC and fifth-place Texas A&M. Florida and USC also finished top-seven on the women's side, too. Now entering his 20th season at the helm of Texas Tech track and field, Kittley is determined to improve on a 2018 season that could very well be considered his most dominant yet. 2018 saw the Tech men's team sweep both the indoor and outdoor Big 12 Championships while racking up 11 All-Americans in the process while also crowning the program's first-ever national champion sprinter, Divine Oduduru, who won the outdoor 200m championship. The men's squad finished sixth at last year's NCAA Indoor Championships. "Our men's team has gotten taste of being a top team in the NCAA, and now it is time for us to take the next step," Kittley said. "This team could turn out to be something special." The women's team enters after a standout year as well, during which they named three All-Americans and three Big 12 Outdoor champions. "In all the years I've been here, this team has the biggest potential to be the best team we've ever had," Kittley said of the women's squad. "This women's team has an opportunity to do things like they've never done before."